Food Connects: Make Every Meal Count! Why Flaxseed and Flaxseed Oil Are Good for You? No matter how old you are, where you are from and what your ethnic background is, we all have one thing in common: our love for food. Food brings people together. It helps to start a conversation and to foster positive relationships. Unfortunately, with our hectic schedules, there may be times where we eat alone, or where we tend to forget about the importance of sharing meals with others. When we eat alone, we typically do not pay much attention to what we eat or how much we eat as we shift our focus to our distractions, which could be our trains of thoughts, our smartphones or computer screens. When we lead a busy life, getting people together to share a sit-down meal can also be challenging. However, we have to remind ourselves of the importance of eating with others. From nutrition to mental health, there are numerous benefits in sharing meals with others at the table. Eating with others does not mean the sit-down meal must be lunch or dinner. A norm can be established based on everyone’s schedule, such as eating as a family at breakfast in the mornings or brunch on the weekends; and eating an early dinner with colleagues every Wednesday after work. To get the health benefits of eating together, share a sit-down meal with others at least four times a week. If you are a parent, make your mealtimes with your children enjoyable. If you have children who are picky eaters, do not use mealtime as an opportunity to discipline. Instead, allow your children to explore the food and decide what and how much to eat at the table. 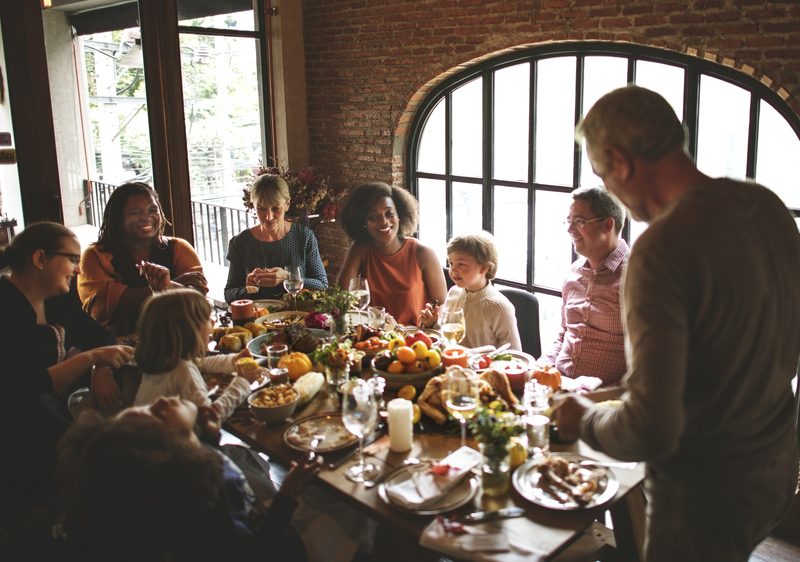 Dining with others allows us to get a break from our busy day, to interact and to connect with others. It also gives us the opportunity to share our thoughts and to listen to others. At Alligga™, we have a wide array of recipes that can be made and shared with family and friends at the table. From kimchi fried rice to flaxseed oil linguine, there will be a recipe that satisfies your family’s and friends’ palettes. Why not include our recipes and products as part of your conversations at the table for a change? For more information about Nutrition Month, please visit Dietitians of Canada’s Nutrition Month campaign on http://www.nutritionmonth2019.ca/. 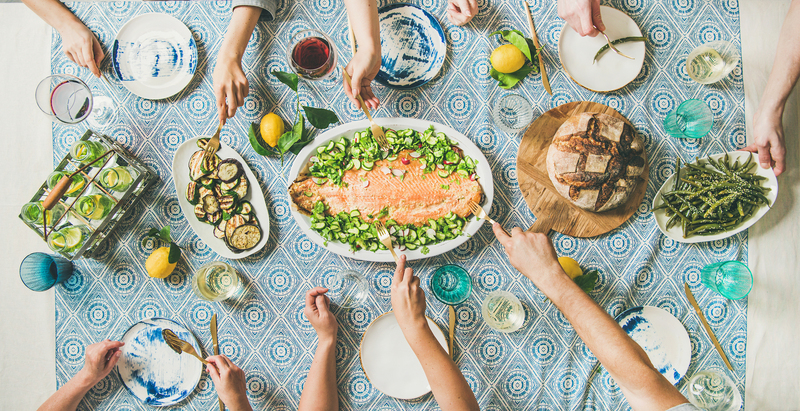 As Nutrition Month is drawing to a close, our registered dietitian, Novella Lui (@livetonourishrd) wants to remind you o the importance of eating with your family, friends and colleagues.